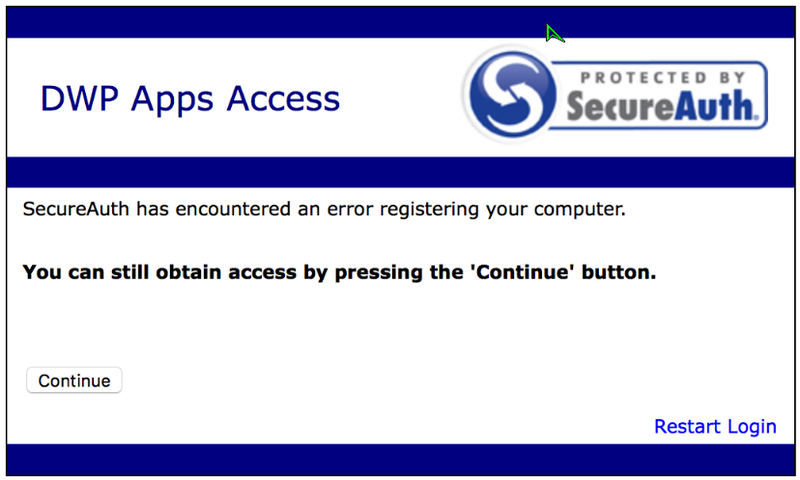 Users will be prompted to click 'continue' if the device has error registering. Java can error out when working on Windows 10 machines on older versions of IdP, resulting in the client not being able to register the device. Thus requiring the user to click the 'continue' button. Change the client side control from Java to browser plug-ins, UBC, or device/browser fingerprinting. This is the error window you may see if Java does not play well with Windows 10. The workflow allows the users to continue as intended and will not prompt the next time the user tries to authenticate. In order to change that, go to the workflow tab > product configuration > client side control. Change this flag from Java to any other option: browser plug-in, universal browser credential (UBC), device/browser fingerprinting.